Your computer is essential to your business. But why? Computers are replaceable. They get old, they wear out. What makes a piece of hardware so important? The truth is that the data on your computer is what is important and also the most susceptible to damage. When these things happen, while you may be able to reinstall certain operating systems or applications, your original data could be lost forever. All data is a target to phishing scams and viruses. Losing data is easy and happens to people all the time. Down time can be very damaging. Some of your data is invaluable. And lastly, your reputation as a reliable dairy is important. And losing or having corrupted data could harm that reputation. Full backups—this is a complete copy of your entire data set. This can be time consuming and usually requires a large number of drives, but it is often considered the best form of protection. Incremental backups—a good alternative to the time consuming full backups, incremental backups only back up data that hasn’t changed since the previous back up. Usually, full and incremental backups go hand in hand. You will start with a full backup and use incremental backups to protect newer data. Because incremental backups are technical in nature, they require some sort of software to create and restore the backups. 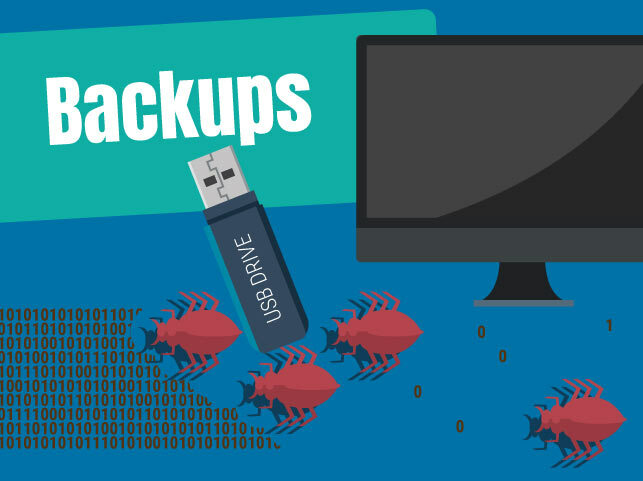 Using a software program to aid you in your backup plan can be effective, but there are also ways to self backup that can be just as effective. Cloud Storage Solution: Pay for a service that automatically copies the folder or folders of your choice onto a cloud drive. Look for a service that keeps multiple versions of your files so you can revert back to a previous versions. Look for a service that keeps track of the files and backs them up each time the file changes. Use an external hard drive to create incremental backups throughout the day. This method requires software to automatically create and restore the backups since only the changes are being saved. Most external hard drives that are designed to backup your files will come with free backup software. The advantage of this method is that your changes are backed up throughout the day. The disadvantage of this method is that a virus that changes your files would also get backed up. So unless the software you are using allows you to revert back to a specific day and time, the whole backup will be useless. A simple hardware-based backup method is to use multiple USB drives. Label the drives Monday through Friday and use one drive for each day of the week. Do a full backup at the end of each day and take the drive home. The advantage of this method is that you have a snapshot of all of your files on a daily basis and you always have a backup off-site. If you were attacked by a virus on Wednesday, you could restore back to Tuesday. The disadvantage is that you have to manually do the backup every day – and consistency is the key. Amelicor recently worked with a dairy who thought they were doing everything right. They were practicing redundancy in order to protect their data, with an automatic backup to the server as well as a cloud account. They were also doing manual backups to an external hard drive. Unfortunately, they got infected with malware that compromised everything. The server, the cloud account, all of their data from spreadsheets to financials was locked down. This particular malware was so invasive that running anti virus tools would not work. They lost everything. Even the manual backup failed because the external drive had filled up earlier without anyone noticing. As frustrating and upsetting as this experience was, this dairy now has a great solution in place to protect themselves in the future. Today, they rotate between 7 or 8 USB drives. Everyday, at the end of the day, they backup everything onto a drive and store it at an offsite location. Of course, as with everything, you should find a plan that works for you and your dairy. Do your research. It is possible to have a simple and affordable backup plan, in fact you can watch a video on YouTube that shows a simple, cost effective plan. Don’t risk your data. Be preemptive and proactive. Protect yourself by following an extensive backup plan that works for you. And, once you’ve decided on a backup method that works for you, enforce it! If it’s software, train your employees on how to use it. If its a self fix, be consistent.